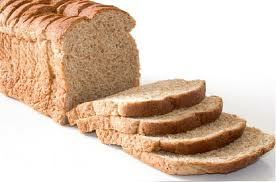 Not many cultural developments have been as ground-breaking as sliced bread. Still, some of some of you say you like to visit here ’cause I’m always throwing out new “stuff” that I find. It could be reviews of new equipment, but often it’s Web Tools I discover that I think might be helpful to your VO business…or even new developments within the realm of Social Media. I’ll be focusing on that Social Media option a lot early this year, as I prepare for the VOICE2012 presentation I’m working on with Terry Daniel and Trish Basanyi. We’re gearing up to USE Social Media in our TALK about Social Media. To that end, we’ve launched a new LinkedIn group called SOCIAL MEDIA FOR VOICE ACTORS. In just a couple of days, we’ve already seen some healthy growth in membership. I’m steadily adding Social Media news channels on the group site, and I’ve also launched an early survey for members: WHAT BEST DESCRIBES YOUR SOCIAL MEDIA ACCEPTANCE LEVEL AS IT RELATES TO YOUR VO BUSINESS? Would you mind joining up and voting on this survey? Here’s the link: http://www.linkedin.com/groups?gid=4262069.